What is the Sketch application? The Dragon1 platform provides users with a Sketch Application. It holds a library of 50 Canvases and one of them is the Business Model Canvas. 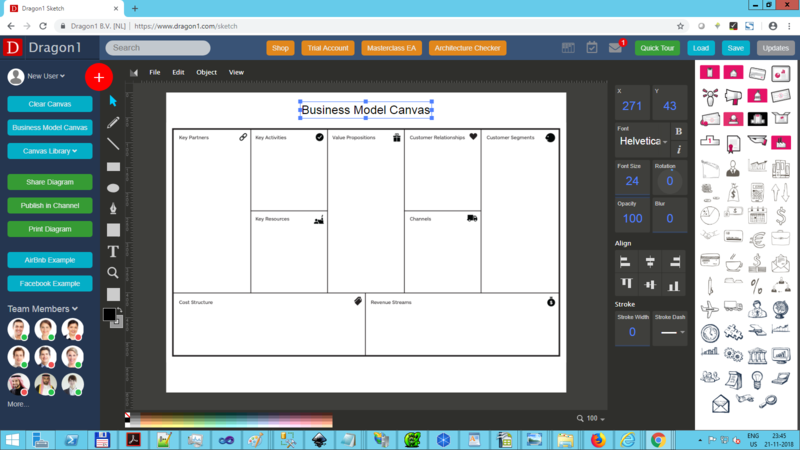 You start up the Sketch Application and can simple desing business models and strategy models by dragging the sketch symbols onto the canvas. You can save the canvas in the Architecture Repository. You can edit the canvas later or edit it in the Visual Designer. You can reuse the symbols, the canvasses and store them as different versions. You can publish your the business model, strategy model, etc. in the Content Viewer for the architects, analysts or other stakeholders. 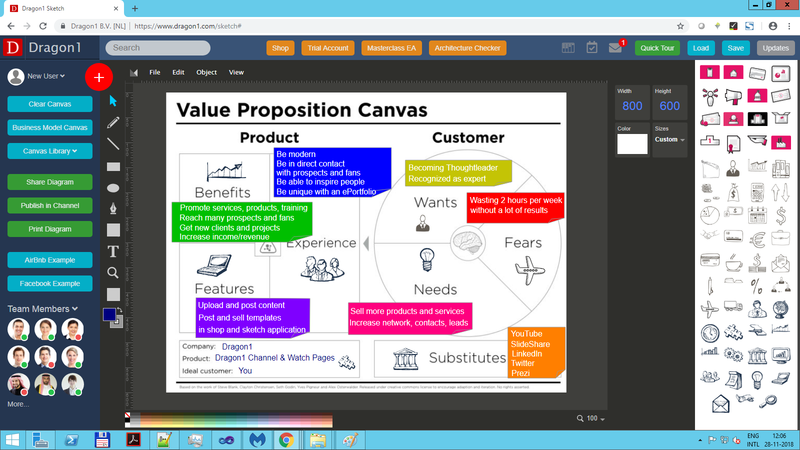 Below you see an example of how Dragon1 itself has used the Proposition Canvas for its product Dragon1 Channel in the sketch application.